A key focal point in the document is the progression of Primary Care Networks (PCNs). The document is 36 pages long so, to save you time, we’ve digested it and have shared some of the highlights about PCNs. In 2017/18, the CCGs across the country committed to investing £3/head to primary care transformation. Building on this, they are now required to commit an additional £1.50/head to develop and maintainPCNs. This is to help them achieve the 100% coverage target by 30 June 2019 at the latest. The new investment is recurring and will need to be provided in cash. Further to the strategy that is already in place, the new guidance states that Sustainability and Transformation Partnerships and Integrated Care Services must include a strategy for primary care as part of their system strategy. The primary care strategy, as well as the system strategy, will be developed in Autumn 2019. As part of the development of primary care networks, provider workforce plans must take the workforce supply and retention challenges into consideration. Building on workforce plans, providers should specifically detail the steps they will take by the end of 2020 to develop a ‘bank first’ temporary staffing model. They must also share how they will identify opportunities for better productivity and transformation - whether that’s through new roles or a new way of working. There is a large focus on reducing the reliance on recruitment agencies to fill shift gaps - a goal set by the Secretary of State for Health and Social Care Matt Hancock. So, as part of the new guidance, providers are required to share how they will eliminate unnecessary agency spending over 2019/20. ‘Unnecessary’ has been defined in the document as ‘shifts procured at above agency price caps or off-framework, unless there is an exceptional patient safety reason to do so’. Continuing with addressing the temporary staffing model, providers will also need to demonstrate how they plan to further reduce prices paid per shift for all temporary staffing resources. They must also share the specific actions they will take to improve upon the cost reduction achieved in 2018/19. Finally, new deadlines have been set and shared to keep everyone aligned and on course with the aim of the guidance. 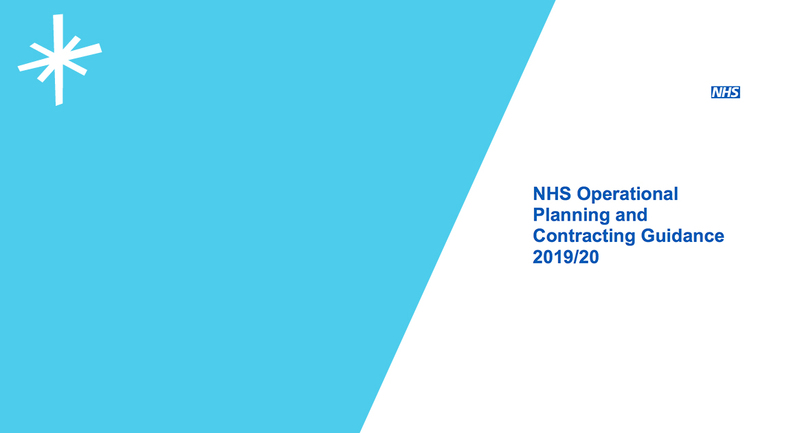 You can access these deadlines, as well as the full plan, in the NHS Operational Planning and Contracting Guidance 2019/2020. Having launched over 56 collaborative staff banks with large-scale organisations across the UK, Lantum has the tools in place to help your PCN succeed. And, as we are on a mission to reduce the reliance on locum recruitment agencies and save the NHS £1bn a year, our product and support has been build to help providers achieve this. Get in touch below and we can show you how Lantum’s collaborative staff banks work and explore how we can help your primary care network succeed - by 2020 and beyond.